Remember this? 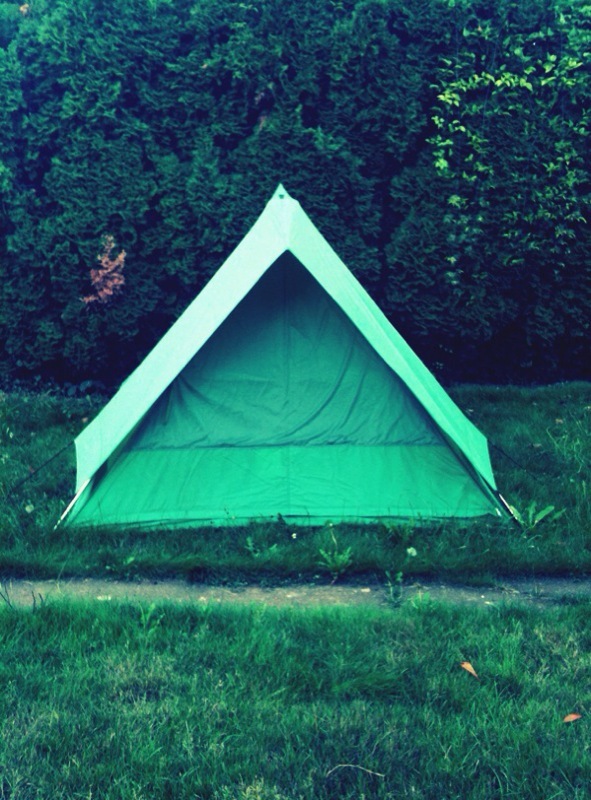 My post about my house being a disaster, what with a tent being pitched in my backyard for months on end? And how I was busy crafting instead? 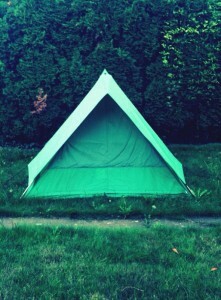 While most of the issues outlined in that post have been addressed, I have yet to take down the tent. I make excuses and postpone. I’m not sure why. Well, last week I got a wild idea that I should write a novel in November. Everybody’s doing it. It’s called National Novel Writing Month or NaNoWriMo for short. 50,000 words in 30 days. I signed up and nagged a bunch of Twitter friends into doing it, too. (I made a list of the intrepid here.) But it took me a day or two to work up the courage to tell Ben. I told him on the car ride home, as we were crossing the Ross Island Bridge. I explained the concept of NaNoWriMo and before I could finish Ben started chanting in a Rainman monotone, “Take down the tent, take down the tent, take down the tent.” We both burst into laughter, but I got the message. He would be supportive, but only if the tent came down first. I feel rather blessed that this was Ben’s only stipulation for my embarking on this madness. Not only is he supportive, he’s ridiculously full of good ideas for the book once I explained by general concept. I’ll do my best to keep posting on this blog. At least one day a week I’ll have an excerpt from the novel. But expect shorter posts and lots of pictures. There will definitely be a photo of the tent drip drying in my basement.